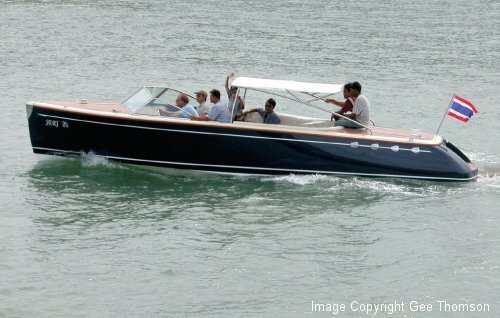 This 27ft classic powerboat was designed for use on Bangkok’s Chao Phraya River and was tooled for GRP and built in Thailand by Pantawee Marine of Pattaya. She has been designed to appeal to both the private market and as a water taxi for Bangkok’s hotels. Boat number one was successfully launched in 2003 and is moored in Bangkok.